Watch Out! The CRA Wants All Your QuickBooks Files. The CRA is rolling out a new audit program. CRA auditors will be armed with Quickbooks 2013 available to look at, and request, full Quickbooks files. CRA has been getting aggressive about getting QuickBooks files. A recent news release from the National Association of Enrolled auditors discussed The TaxMan’s decision to issue Quickbooks 2010 to 2013 and specialty Tax Auditors with the intention to request full backups of business taxpayers Quickbooks files as part of certain in-person field audits. The CRA auditors have previously been bringing in a specialist who had taken a training course on how to use the software, use data files, and generate various Quickbooks reports. Now with the new software, CRA no longer needs the special tech guy to go into your computer. The CRA auditors may still bring in a specialist who has taken a training course on how to use the software, use data files, and generate various Quickbooks reports. The big reason for concern is that when CRA Auditors access QuickBooks files they have access to all your data from start-up to present. This includes statute barred years that you may not want to have CRA look at. Business taxpayers and tax accountants have reason for concern. Conventional accounting software is not audit ready. The trouble with the market software that businesses use is; that when CRA alerts a company that they are about to be audited, the company is simply not audit ready. As a result of the accounting not being ready, CRA audits everything and with their broad assumptive powers they find all kinds of money… in taxes, penalties (often 50%) and interest because their software of choice does not answer all the auditor’s questions. To avoid the expense of the CRA audit, your books and records must be kept audit ready at all times. See this web site for more details on audit ready bookkeeping. We started the subject of audit ready books years ago and now many more accountants now use the term and claim that they are audit ready, but in reality their books are usually not ready and they still have to go through hoops for CRA, which causes the audit to carry on and on. An audit ready set of books leaves no questions unanswered… even the interview questions need to be pre answered, to make the claim that the books are audit ready. Not audit ready means tax problems. Tax problems often require expensive tax solutions. Be wise, be Audit Ready. We do offer the Financial Compass Program which keeps clients audit ready at all times if you want to live without the worry of what if you get audited. Initially an CRA exam is limited in scope to certain years and certain issues. Therefore they are only allowed to request information specific to tax years and issues that are within the scope of the audit. Meaning not “Statute Barred.” By requesting Quickbooks backup files, the CRA auditor gains access to all of the taxpayer’s business information- financial records for all the years that the business has been using Quickbooks, vendor lists, client lists, client addresses and telephone numbers, client credit card information and many other valuable and often confidential business information. Another Problem with Giving Quickbooks Files to the CRA is that many taxpayers aren’t very adept in using Quickbooks. For example in some cases small business owners who do in-house bookkeeping have managed to double count income. Such examples prove the need for audit ready bookkeeping. The thing to ask yourself, if you are using accounting software, why is it not audit ready? In the absence of Audit Readiness; A good accountant who is about to have a client face an CRA field audit, will generally spend countless hours with the client’s bank statements, credit card statements, and canceled checks auditing the unlucky client’s Quickbooks file and often re-doing the audit exposed year’s bookkeeping. Hmm, another reason to do it right in the first place. The idea of providing, and risking a CRA auditors unanticipated review of certain auditable, accounting records that haven’t been fully reviewed is unconscionable and highly likely to increase the risk of broadened CRA audit- especially for taxpayers with poor accounting skills. Unfortunately, the CRA has yet to set, or disclose, any changes to the Auditors Training Manual, AKA TOMS (CRA Auditor’s Bible) dictating how this new audit weapon is to be used or requested. 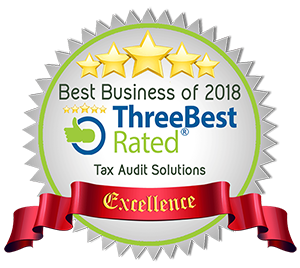 Professionals are very concerned that some CRA auditors may not have the restraint to keep within the limited scope of audits when so much unnecessary additional information is being provided with Quickbooks backup files. What is to stop a CRA agent from nonchalantly peeking at books from other financial years? What then would stop the auditor from using illegitimately obtained information to open the scope of the audit to other tax years? This is an upcoming tax issue, and one that professional legal and accounting organizations and this author will keep a vigilant eye on. What if the dreaded CRA Examination Notice is Received? Call a Tax Professional! Attorneys, Accountants and Tax Representatives are authorized to represent any taxpayer before all levels of the CRA and many provincial taxing agencies. Being “represented” means that the tax professional is a buffer between taxpaying clients and the CRA agent- after a taxpayer has hired a professional that individual or business shouldn’t ever need to directly correspond with CRA personnel. A (good) tax professional will vigorously guard clients from additional audit exposure. These upcoming requests for Quickbooks backup files is one request that should not be graciously complied with. The CRA only has a right to request information pertinent to the tax years and issues identified in the audit notification, and a business’ full Quickbooks file provides far more information than a CRA agent needs to carry out the already planned scope of the audit. A good professional will assert all legal remedies against requests that may lead to a broadened CRA examination. 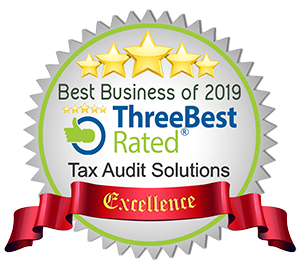 If an individual or business taxpayer hires a professional that recommends compliance with audit-exposure risky CRA agent’s request like granting access to the business’ Quickbooks backup file without putting up a major fight, that taxpayer should consider hiring a new professional. If you are concerned about your QuickBooks files causing you a big problem, please give us an overview and we will get back to you shortly.